So, you finally booked that ticket to Europe (congrats!) and now it’s almost time to take a ride on a big jet plane to the other side of the world. 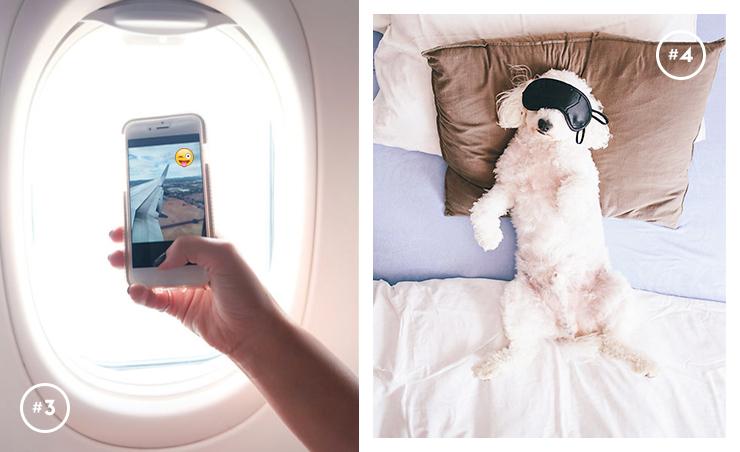 While the excitement is very real, you’re probably also wondering how you’re going to survive 14+ hours in the air. Fret not, folks! It’s 100% not as terrible as it sounds. To help you get into flight mode, we’ve teamed up with Qatar Airways, who have just launched the longest flight in THE world. Yep, you can hop on a plane in Auckland and wake up 18 hours later in Doha, your gateway to Europe. These guys know a thing or two about long-haul flying and because we’re suckers for quality life hacks, we’ve found 7 super-effective ways to make long-haul flights so much easier. Airlines are snazzy these days. Gone are the days of the crossword puzzle. In fact, long-haul flights are THE perfect excuse to treat yo’self to a bit of ‘me’ time and get stuck into a new TV series, watch the latest cinematic masterpiece/deliciously trashy flick you’d only watch on a plane, or let your ears take in some sweet, sweet tunes. When else can you veg out for this long without judgement? And, because this is the longest flight in the world, there’s a whopping 3,000 entertainment options, so boredom is, quite literally, impossible. Soak it all up while you can, because once you arrive at your destination, you’ll be hard-pressed to find ten hours of solid Friend’s binge watching. Time zones are trippy. At some point during your flight, you’re probably going to want to drift into dreamland. Pro tip: Take a tooth brush and tooth paste to brush your pearly whites, then pop on your eye mask, socks and ear plugs, and get ready for a top-notch snooze. Forgotten said products? The lovely flight attendants will give you a handy kit with all of the above and even chuck in a lip balm! Bliss. Just because you’re in a plane…somewhere over the Indian Ocean…at 35,000 feet above the ground, doesn’t mean you have to disconnect from the interwebs—especially when you’re in the air for 18 hours. Your seat is kitted out with a personal telephone so you can annoy your homies from up high, and with laptop power and USB outlets available on every seat, you'll have plenty of juice to fuel all those in-flight selfies! There’s a wealth of info about how to combat jet lag but if you’re embarking on a long-haul flight, chances are it’s going to catch up to you. Your best bet is to chill out and go with the flow. If you sleep, great! If you don’t, no dramas. Sometimes an 18-hour flight is too much to stomach. If you just so happen to be cashed up, let us tell you that a business class seat is 100% worth your moolah. In fact, you should probably just save up and do it anyway. The perks? You’ll be given fancy sleepwear (with cotton slippers!) for when you conk out on your horizontal flatbed, an amenity kit (we’re talkin’ lip balm, facial mist and anti-aging moisturiser), legendary hospitality from the friendly crew and access to dine-on-demand, so you can eat whatever you want, when you want—winning! 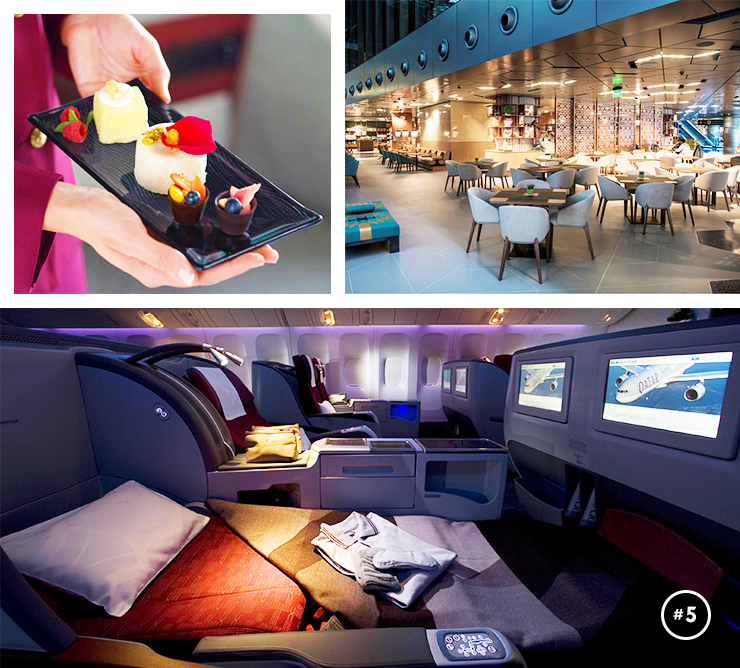 Better yet, before you fly, you’ll get to feast on gourmet food, relax and unwind at a luxury business class-only lounge. Your mum will no doubt remind you but let us, too. It’s super duper important that you get that booty of yours out of your seat and move about throughout the flight. Go for a quiet stroll about the cabin or bust out a few stretches when you pop to the loo. Your joints will thank you later. You’re no doubt heading to somewhere amazing (one of these epic spots, perhaps?!) and are feeling pretty damn excited. Not everyone has the chance to travel and while long-haul flights aren’t always sunshine and rainbows, enjoying and appreciating your time in the air will do you wonders. Besides, being grumpy and/or rude on a flight isn’t going to make the plane fly any faster—the Captain told us so. Editor’s note: This article is proudly sponsored by Qatar Airways and endorsed by The Urban List. Thank you for supporting the sponsors who make The Urban List possible. Click here for more information on our editorial policy.